1. 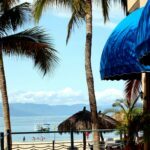 Ease – When you join a vacation club in Mexico it’s just so easy to take a vacation because the club takes all the work out of the planning process. A good vacation club can really minimize the stress, especially for big families that might find it difficult to get rooms in the same hotel. A timeshare property is more likely to be able to accommodate large families in comfort and, as a member, you can book online or by phone safe, in the knowledge that you’ll be getting the best! 2. Quality – Vacation clubs only deal with the very best companies and properties in order to protect their reputation! They know that when they provide the best services and accommodations their customers come back again and again; each unit is classified to ensure that members get an appropriate trade, if swapping, or good value when buying points. The units will have all of the modern comforts and any common areas will be clean, tidy and beautifully presented. 3. 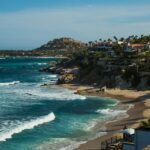 Good locations – Timeshare companies and vacation clubs often have access to the best areas and resorts in a country or area so you can be almost certain that your resort will be one of the best in the area. A huge amount of research goes into choosing a location for a new resort! 4. Flexibility – One of the biggest advantages to joining a vacation club in Mexico or buying a timeshare is the flexibility and freedom on offer! Whether or not you have a timeshare you can visit different locations and resorts with confidence in the quality on offer. Their points system also allows you to choose the dates and lengths of vacation stays that suit you and your family! You can even borrow or bank these points to take a longer, more luxurious vacation or ensure you don’t lose unused point, respectively. 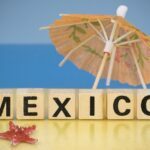 The real benefit of joining a vacation club in Mexico is that everything can be tailored to suit you! 5. Value – Large families might often face the issue of finding enough rooms in a hotel or getting suites large enough to ensure their comfort. Vacation clubs solve this problem easily, however; the generously sized accommodations usually include fully equipped kitchens, dining areas, lounges and even laundry facilities, at times! These arrangements could save a large family a lot of money quite easily. Along with this there is the fact that vacation clubs will often offer deals or discounts to members which even include concessions in local restaurants, stores and services!